The path will be closed in both directions from 7 a.m. to 4 p.m.
VANCOUVER — Bicycle and Pedestrian travelers who use the bike/pedestrian path on the Interstate 205 Glenn Jackson Bridge between Vancouver and Portland should plan to use an alternate route or an alternate mode of transportation on Tuesday. 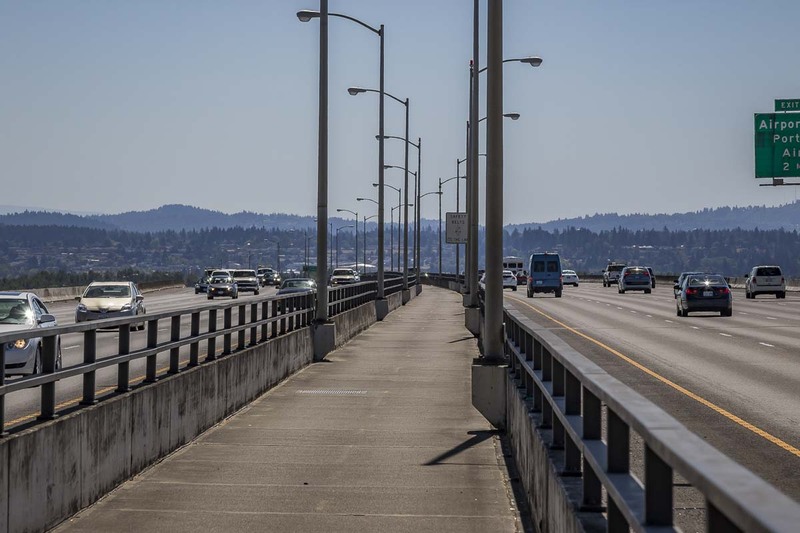 On Tue., Oct. 16, Washington State Department of Transportation maintenance crews will perform emergency repairs to a steep lip between the bridge joint and asphalt path on the north end of the bridge. This work will provide a smooth transition for the path user and require a daytime closure to complete the work. Crews also add asphalt curb, which will channel storm water more effectively during heavy rainstorms. Tuesday, Oct. 16: The pedestrian/bike path on both directions of the I-205 Bridge will close from 7 a.m. to 4 p.m. NOTE: During the closure, the traffic lanes and ramps on both directions of I-205 will remain open. Because all work is weather dependent, maintenance crews are taking advantage of the dry, clear weather to perform this work. Additionally, to reduce the impacts to travelers and for the safety of WSDOT crews, this work will be done in one day, rather than over the course of multiple days. Before heading out the door, travelers can get up-to-date traffic information with the WSDOT mobile app, and the WSDOT Travel Alerts page.